Apart from being the best student in a generation and graduating with the highest degree is considered to be a huge success, but being the best student in the history of the Faculty of Sport and Physical Education is an incredible accomplishment. Although she achieved it and remained at University like assistant, Tanja decided to leave Serbia. Like many other young, educated and ambitious people she left her country at the beginning of the new millennium. Very shortly after that she was joined by another professor from the same University, Maja Ivanović. Patient hard working and building working system on their own paid off, because today they have status of the most wanted and most desirable experts in the field of physical preparation leading athletes. Tanja: When I finished my studies, and began to work as assistant, I was deeply disappointed in general situation, environment and people in sport. I could not find the space to express and show myself. The last year at University I even spent attending and studying one more school. It was a sign that things don´t have to go in precise and logical way; you finish school and get an employment, but with many variations between. When I signed the first professional contract in Belgium like fitness trainer and went from Serbia, Dutch University in Mastriht was the most convenient solution for my master studies that I applied for. Maja came very soon, we opened a firm and promptly jobs started to come from all over Belgium and Holland. At the moment, they are working with basketball national team, football and handball clubs as well as many individual athletes within the Olympic Committee of the Netherlands. When the Ministry of Sports entrusted them with physical preparation at the national Handball Academy for boys which was located close to Maastricht, they entered in handball. The other national teams located norther in the Netherlands wanted them too, but they refused it because they were located on the other part of the country and didn’t want to move. Now they are working with Dutch handball champions both male and female, teams Limburg Lions and Dalfsen and boys with whom they have been working for years are slowly becoming or already are backbone of national team. Maja: The first handball project, at the south of the country, was National Handball Academy. Basically, we set up the whole system around the Academy, and started producing some great results. Quickly afterward Limburg Lions team invited us. In the middle of one national championship we took them too. They needed a lot of work when we took them but at the end of that season they won every trophy. Those were their first titles. Since then, they are constant champions of the Netherlands and finalists of BENE League. Since handball is only one of many sports to you, it is possible to make some comparisons. Where do you see free space for improvement in handball if we speak about bringing physical preparedness of handball players at the highest level? Tanja: Handball is the game that requires complex physical preparation with a lot of allowed contacts, where it is important to move quite large body mass efficiently. Probably according to physical preparation demands is just behind rugby. In handball, except on some positions maybe, there is no space for weak links. In the other sports, any physical insufficiency can much easier be reimbursed by creativity and sense. But it is more and more difficult to compensate, even in woman handball. Maja: It is important to choose and combine effective exercises, means and methods. Even when everything is perfectly chosen and combined – the way how the exercise is done is the one which will decide whether the transfer at handball activity will happen and whether the number and nature of injuries will be decreased. The player has to understand why he is doing what is doing and how to do it in the most efficient way. Tanja: This is one part of the story. The other part is more serious and more creative combination of handball and physical preparation training. Handball coaching staff and a qualified trainer for physical preparation should create the whole training process together. Training conditions should be modified with very effective combinations of handball training methods and methods for the development of various aspects for physical preparation. 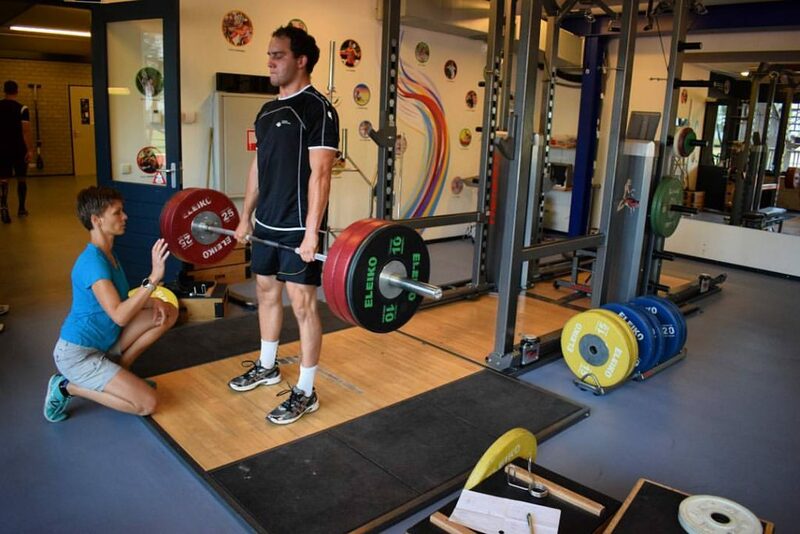 Maja: An effective system of monitoring for external and internal load variables has to be established with clear and effective application in a way of adapting and individualization the whole training process. This summer Tanja and Maja worked individually with both male and female handball players and among them was the well-known Andrea Lekić. Maja: There is no dilemma that Andrea Lekić is an amazing handball player. She is one of the best in the world. After numerous problems with injuries her physical condition is satisfying. However, she has skipped plenty things since she was 15-16 years old. Serbian players that did not skip it are rare. It is very simple thing. There are very talented girls, who have been practically stopped in sport development due to lack of conditions and organizations around them. Therefore, they are losing years and sinking. And then when they come to professional level it is impossible to compensate what is lost. At that moment talent does not help, it is late. It is not Andrea´s story, but it is story of many others. Nycke Groot is everything for Dutches. If we speak about handball and talent, Andrea is a spaceship. Nycke went through Handball Academy, through the real development and real system. She is playing according to the system and would not feel comfortable in situations in which Andreas does. Not only that, physically she will always be able to fulfill all requests of any coach but also, she will be rarely tired and injured. Only as a result of being trained systematically. How would you describe your working system? Tanja: Like a mix of science and art. I am interested in converting things into tables and organized systems that I then adjust to the situation. When I talk about training, it means that it is not important where we will be inserted and from the same moment we will be able to arrange things and start our job, because we can handle too many variables at once. All knowledge is on one side, but it is in our nature that we are interested in everything and we draw information from everywhere. Maja: Every second of every day. Searching for innovations, new approach and solving a new moment is every day. We have TV but it is turned off because we do not use it. Such our creativity and innovation cost us that our working hours are not 40 hours a week, but every woken hour. Our network of colleagues, associates and athletes stretches from America to Australia. We need a permanent position and place where from everything will happen and we will make and implement decisions, without being connected or conditioned by any state structure. Tanja: To be internationally recognized as experts, continual education is inevitable, both for job advancement and for retaining the required certificates. On average, every year we pass through a dozen of specialized education programs, online as well as through participation in various seminars, workshops and lectures around the world. We also organize lectures and workshops for various trainers by ourselves, most often by invitation. In the Netherlands, we have organized lectures for the last ten years to our colleagues, physical fitness trainers, and basketball, handball, free climbing, triathlon, gymnastics trainers etc. As we are in touch with almost all trainers in the Netherlands, we are still listening in what are their biggest problems, so we will figure out how to help them through workshops and lectures that we will organize from now on. Maja is a complete expert in the field of nutrition, but it is a topic that cannot be put in a few sentences. Maja: There are many factors that have influence on success in team sports. It is scientific fact that nutrition models everything. A long time ago it is said you are what you eat. Nutrition has to be balanced and adjusted. Our body can use only what you have taken because it has no other source. Not only that you are training well and recovering, but through nutrition you can affect the quality and function of all tissues. Science is proving it more and more. Things that body can tolerate when you are 15 years old cannot when you are 25 or 30. The experience has taught us that it depends on nutrition too what the result of our work would be. We had real situations to see the lack of results just for that reason, and that is why we give very specific guidelines to athletes about nutrition. During your twenty-five-year career, you have worked with really an incredible number of top athletes, Olympic athletes, players from national team, and medal winners in all possible sports. And all this is under the pressure of result. How did you succeed it? Maja: Life played with us and threw us into the machine where you have to make results in every field and various circumstances. There are situations where you are learning what you can do as a fitness trainer to improve training process. On the one hand activities like jumping into water, then all kind of games and martial arts to extremely difficult sports such as ultra-triathlon. From adaptation of strength and conditioning training into functional training to movement improving and protection against injuries, all this should lead to capacity of building, which should again lead to better results. Tanja: All this has given us width and experience which I doubt someone has. For the first time now we are preparing and equipping our space. Meanwhile we did it so many times at numerous places. We raised things from scratch. Now, somewhere, our dream begins to come true that we can do everything in one place. We are heading towards opportunity to be able to organize our training center for a team preparation or national team where they can train, eat sleep, sparring, rest and recover in the best possible conditions. Our goal is to internationalize this because this is a mixed climate and it is mostly opened toward Germany and Belgium, but also across Europe. Our company, Total Movement, is a place where all those with an idea and affinity will be able to change it and raise it to an extraordinary level. Our goal is to train someone with the attitude that this is a way of life, not something that he or she is asked to do for some reason. 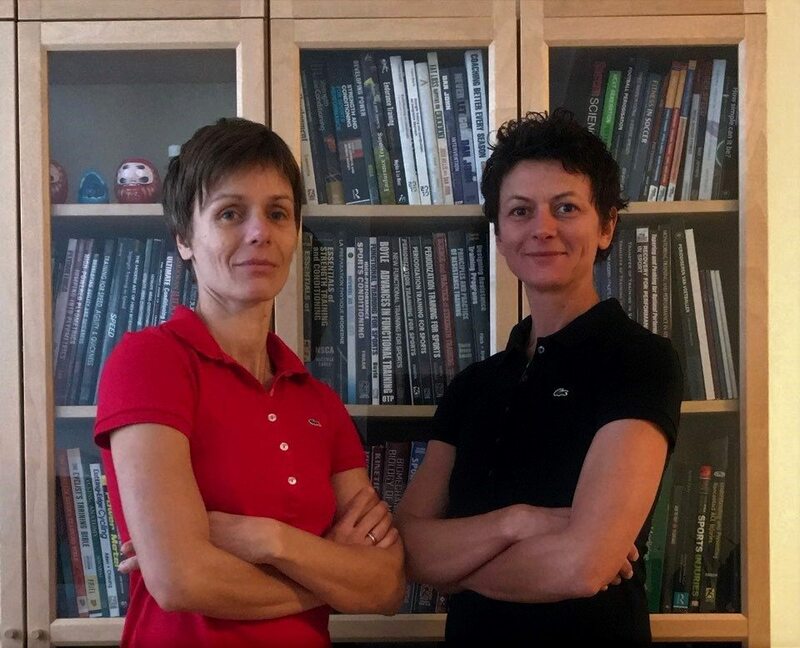 To accept this whole system as a lifestyle, as something that is required for the sport they deal with, and also for life, Maja and Tanja ceased the interview for Balkan-Handball.com.